Mike Dorn [email] will be the lead faculty for the new course Disability Studies 5405: Disability Studies in the Humanities [PDF]. Drawing on the rich oral history, media, literary, and archival resources available in the Philadelphia metropolitan area, this class will help students to explore a variety of historical and contemporary sites. Trained as a cultural geographer, Dr. Dorn’s own research focuses on historical patterns of oppression and liberation as well as the role that disability ascriptions play in the bounding of the ‘normal.’ Although he draws on international intellectual currents and aesthetics, Mike is particularly interested in their cultural expression in the MidAtlantic and the Midwest. Disability Studies 5401: Disability Rights and Culture will be taught by my colleague, disability scholar and activist Carol Marfisi [email]. Drawing on her background in psychology, Carol explores the phenomenological experience of disability and for the historical formation of movements for disability rights. Course topics include eugenics, the parents movement, the developmental disability and independent living movements, assistive technology, sexuality and relationships, and disability culture. Whichever course one takes, students leave better equipped to act thoughtfully and effectively in the present, to fight for change in their families, communities and societies. Don't hesitate to call or email if you would like to receive more information on these classes and how to enroll. 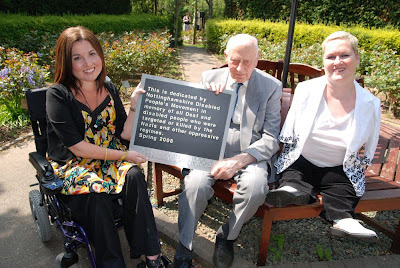 Heather Hollins wants to alert our readers to an event she is organising as Access and Heritage Officer at The Holocaust Centre, in north Nottinghamshire, in partnership with the Nottinghamshire Disabled People's Movement on Sunday 11th May 2008. 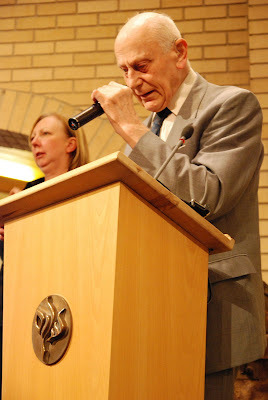 The event will acknowledge and remember the histories of the Deaf and disabled people who were sterilised and killed during the Holocaust, and will see the dedication of the first rose and plaque in the Centre's memorial gardens to the Deaf and disabled people affected by the Holocaust. The Pioneers Young Disabled People's Forum will also be unveiling their plans to create the UK's first permanent memorial to the Deaf and disabled people killed in the Holocaust at the Centre. The day will include speakers and debate. Speakers will include Liz Crow, director and producer of 'Roaring Girl' films, who is currently making a film about the T4 programme; 85 year old Hans Cohn, MBE, will be speaking about his personal experiences of being one of the very few blind German Jewish children to have survived the Holocaust by escaping to the UK; and Ricki Westbury, Director of Disability Access Services, will be exploring the impact of the Holocaust on Deaf culture. 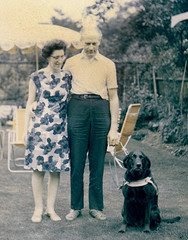 Hans Cohn tells his story in an article entitled 'An Adolescence in Crisis,' from The Braille Monitor 47(5), published online May 2004. Inqueries about the event should be directed to Heather Hollins by telephone on 01623 836 627, by mobile or text on 07963 371 282, by fax on 01623 836 647 or by email. Yes, we've officially made it to #36--that's a year-and-a-half of twice-a-month Disability Blog Carnival editions. And I think they keep getting better.... Ettina at Abnormaldiversity hosts this latest edition, around the theme of "Abuse." The posts are often personal and infuriating, but they're important, and these are voices and stories that need to be heard. Next edition of the Disability Blog Carnival will be hosted at CripChick's Weblog, with the theme "Disability Identity and Culture." She's given a great set of prompts, guaranteed to stir any blogger to write something, so have a look and submit your links by Monday, May 4, for the Thursday May 8 carnival edition. Here's the blogcarnival.com form, or you can leave comments here or at CripChick's blog--she also gave an email address to use--or try putting "disability blog carnival" in the text of your message, that often works too. Click on the address above. Then click on the HOME tab on the top left of the page. Then click on, Webcasting NOW!>> on the right side of the page. Looking forward to your comments. In anticipation of a community-wide chalk-art event on Saturday, we had a chalk-art preview session at our local elementary school this morning. 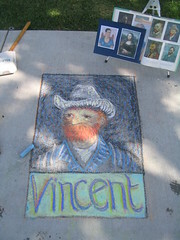 So hmmmm, chalk art AND disability history? No problem! I did a Vincent (above) and a Frida... (just had to be sure they were kid-appropriate images). I often have to defend the meaning of abstract works. When it happens, I have no way to explain them other than to use the example of music, even though I am not really qualified because I have lost my hearing. It is possible that the nuances of color, line, or shape describe the movement of human feelings, as melody can stimulate all kinds of emotions. After WWII, he started an artists' organization to revitalize Japanese communities. He died at 36, from heart failure (he had chronic health problems from asthma and tuberculosis). In 1998, the art museum in Iwate marked the 50th anniversary of his passing with an exhibit of 92 paintings and 45 drawings. "All of these pictures filled with his joy in the painterly process evoke a sense of Shunsuke's faith in the painting and his deep love for the human condition," declared the exhibit catalog. Mark H. Sandler, "The Living Artist: Matsumoto Shunsuke's Reply to the State," Art Journal (September 1996). Online here. Get ready for Blogging against Disablism Day 2008! Back for a third year, the event that is Blogging Against Disablism Day, once again hosted by The Goldfish on May 1. We've been thrilled to be part of BADD the last two years, and we'll definitely have a contribution this time around too. Last year, more than 170 bloggers around the world participated, and it was a great day of reading and commenting. Goldfish has once again declared "language amnesty" for the day, so use the terms that are right and best for your purposes in your part of the world, and expect that others will do the same. But do write something, and do read across the disability blogosphere on May 1--you won't be disappointed. 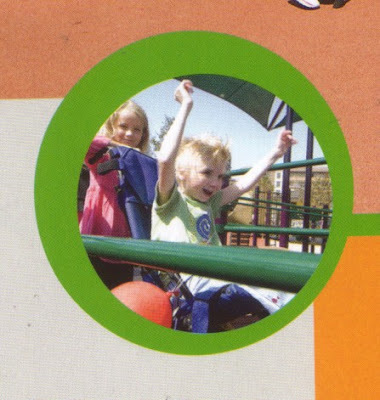 Got the new Landscape Structures catalog today, and there's a picture of my kids on page 40 (shown at left)--part of a spread describing a nearby accessible playground, in Playa Vista. We went to the photo shoot (basically a playdate with cameras) last summer, but I never knew what happened to the pics until now. "During her youth she lost a leg as a result of a cycling accident and the disease that followed. The artificial leg that replaced it was never very satisfactory. 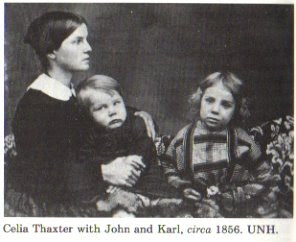 Throughout her life she moved about by means of a tricycle worked with the arms." And I can't find any other mentions of Freund's tricycle anywhere. Anyone know more about it? There has to be an interesting journal article waiting to be written here--she was a chemistry demonstrator and then lecturer at Cambridge, 1887-1912, a gifted teacher, supporter of women students in the sciences, author of two textbooks. Her colleagues or students must have made some mention of her tricycle over the years? For those of you interested in Disability and Spanish films, I've posted a summary of a lovely film in my blog http://caperucitacoja.blogspot.com. You might have a look at the plot in the New York Times Archive. 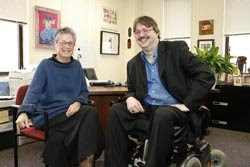 In a pair of articles, the Temple Times honors Diane Bryen for her 17 years at the helm of the Institute on Disabilities, and introduces the new executive director, well-known disability studies scholar and filmmaker David Mitchell. David Mitchell, the new executive director of the Institute on Disabilities, wants to make the academy more accessible. Currently, if you’re interested in pursuing a doctorate in Disability Studies, there are only two places you can go: the University of Illinois-Chicago and the University of Leeds in Leeds, England. David Mitchell, the new executive director of Temple University’s Institute on Disabilities, hopes to change that by making Temple an option for those in the Delaware Valley who want to earn their Ph.D. without having to go to Chicago or leave the country. David T. Mitchell, the new executive director of the Institute on Disabilities, hopes to further raise the profile of disability studies at Temple. “The goal is to grow Disability Studies at Temple into the most significant and influential home for Disability Studies in the United States,” Mitchell said. Doing that will require a holistic approach, says Mitchell, who has written books on people with disabilities and their place within the humanities. While Temple is a more accessible campus to people with disabilities than most, a sea change is necessary for the academy overall, Mitchell said. The creation of Institutes on Disabilities like the one at Temple has helped make this public space available to people regardless of their physical abilities. Mitchell praised his predecessor, Diane Bryen, for making the institute what it is today, adding that he doesn’t see it changing much. Bryen, who was one of the first wave of disability activists who ran these institutes, is retiring this year. Mitchell has done much of his work with his wife, Sharon Snyder, who is on the faculty of the University of Illinois-Chicago. He has two children, Cameron, 16, and Emma, 12. Mitchell officially becomes the executive director of the Institute on Disabilities July 1. While Diane Nelson Bryen is stepping down as executive director of the Institute on Disabilities, she won’t stop fighting for full inclusion of people with disabilities in all aspects of society. Diane Nelson Bryen’s office in the Institute on Disabilities is a showcase of what she’s been able to accomplish with and for men and women with disabilities. There are things that represent the places in which she’s taken the ACES (Augmentative Communication and Empowerment Support) program, such as Australia, India, South Africa, and Israel. There are awards from the various agencies for people with disabilities that she’s helped. And there are lots of pictures — pictures of smiling young men and women who are leading lives that their disabilities might have prevented them from living years ago. Through those pictures, Bryen gets the chance to see the fruits of her hands-on approach to working with children and adults with a wide variety of disabilities. As someone who has a brother with a disability, she sees just how important this work is. Diane Bryen, the outgoing executive director of the Institute on Disabilities talks with David T. Mitchell, the new director of the center. Bryen is retiring from the post she has held since 1991. And although she’ll be stepping down as executive director of the Institute on Disabilities in June, Bryen plans to keep working toward making things more equitable for people with disabilities. Bryen came to Temple in 1964 as a student, eventually graduating with a masters degree in special education and a Ph.D. in educational psychology. She started her teaching career at Temple in 1973 as a special education faculty member. While she had always had interaction with the Institute on Disabilities, it wasn’t until 1991 that Bryen was asked to lead the organization. 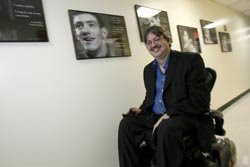 Under Bryen’s leadership, the Institute on Disabilities has achieved much. It has formed partnerships across the state to help provide people with such things as microwave ovens for the blind and high-tech computers that give those who have never spoken before the chance to communicate with loved ones. One of the ways that those computers are being put to use is through the ACOLUG (Augmentative Communication Online Users Group), a listserv designed to provide an international forum for those with significant communication disabilities. The listserv currently has about 650 users, Bryen said. But one of the institute’s most important achievements under Bryen’s watch is a greater awareness across the university of what disability is and isn’t, Bryen said. “We’re changing the way that students at Temple are learning about disability,” she said. "Disability is a form of diversity. People with disabilities aren’t broken and need to be fixed. Instead, people with disabilities should be seen as a minority group and afforded equal protections, she added. That’s something that C. Kent McGuire, dean of the College of Education, has come to know during his five years at the college’s helm. He has come to see Bryen as a tireless advocate for not only the people helped by the institute, but also for students interested in pursuing disability studies. Although she won’t be involved in the day-to-day operations of the Institute on Disabilities, Bryen, a Fulbright scholar and winner of the Lindback and Great Teacher awards, plans to remain involved. 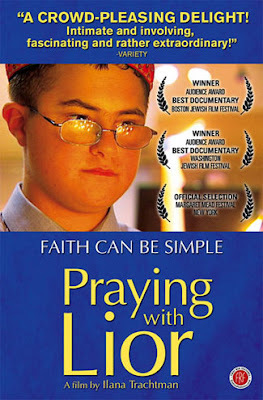 We highly recommend this film to those looking for an engrossing, wrenching and tender documentary film (an audience favorite at several film festivals) considering the spiritual life and key rite of passage of an adolescent with Down syndrome. Temple University's Disability Studies Program featured the documentary at its meetup this past Wednesday: dinner was followed by a screening at the Bala Theatre. Local and regional scholars and activists came together for an exciting and educational evening. Philadelphia's Fox affiliate recently aired a story about the buzz that is growing around the film as its run is extended in Philadelphia and DC: text + video. We would love to learn about your responses to the film - add them as comments to this post. A public discussion of the film will be held at the Institute on Disabilities, University Services Building Suite 610, 1601 North Broad Street, Philadelphia, 19122. The brown bag discussion will take place this coming Monday, April 7 starting at 12 noon and lasting until 1:00 pm. Feel free to call for directions and information on parking, 215 204-1356. If you happen to live in the Philadelphia metropolan area or are willing to make a trip (one of our most frequent attendees lives in metro DC) then we invite you to sign up to Disability Studies, The PHILLY Meetup! for regular announcements on our upcoming events. Ecuador has ratified the UN Convention on the Rights of Persons with Disabilities, raising the total number of ratifications to 20 and thereby triggering the treaty’s entry into force. The CRPD is the first human rights treaty of the 21st century and prohibits discrimination against persons with disabilities in all areas of life, and includes specific provisions related to rehabilitation, habilitation, education, employment, health and access to information, public facilities and services.